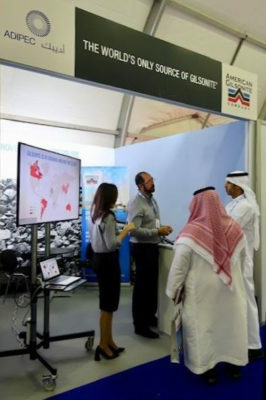 American Gilsonite recently took part in one of the world’s largest oil and gas conferences – the 2018 Abu Dhabi International Petroleum Exhibition and Conference (ADIPEC). The event, held in November 2018, was attended by 145,000 industry professionals from over 67 countries across the globe. ADIPEC provided a unique opportunity to demonstrate how to identify true Gilsonite and to showcase its superior advantages in cementing and drilling fluids in virtually any downhole environment around the world. 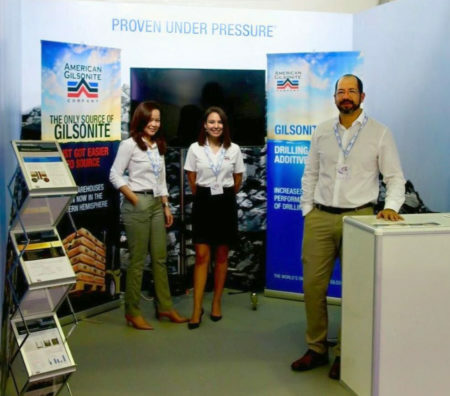 Representing American Gilsonite at the conference were Ghery Sotomayor – Senior Account Manager, Drilling Fluids; Ashley Barnes – Analyst; and Rozalina Bojey – Marketing Coordinator. Ms. Bojey recently joined the team to expand American Gilsonite’s customer base in the Middle East and Far East markets in conjunction with the opening of AGC’s Dubai Supply Center in February 2019. 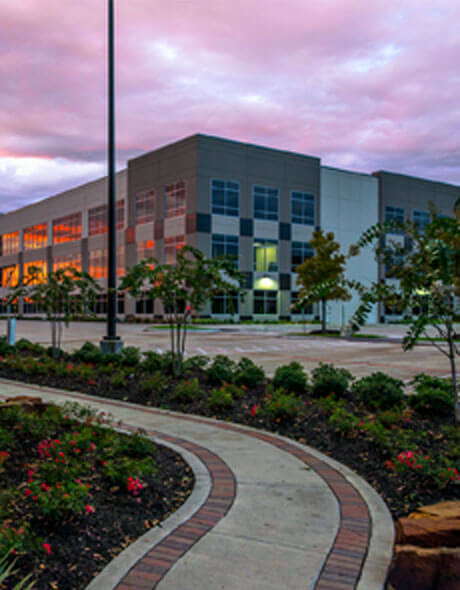 AGC also has a Singapore Supply Center, which opened in October 2018. Contact us to learn more about the world’s only true source of Gilsonite and how it can benefit your company.